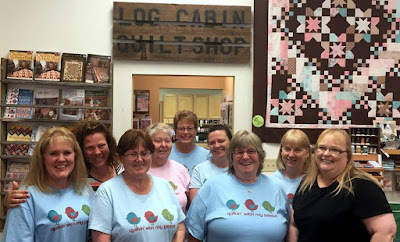 I met with friends to quilt on Friday, since I didn't have to work. I thought that would be a great time to figure out the layout for my letters and get some free advice! I tried lots of layouts, but unfortunately I didn't take pix of all of them. 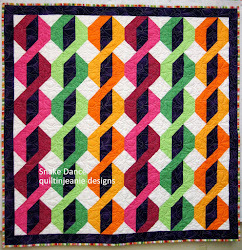 I started out with longer rows, so it would've turned out more square, be decided I liked it rectangular better. I left some of the letters bigger/smaller than others, others I evened up. I wanted to use my cat, star, house, girl and some of the asterisks, so they had to fit in too. I was finally happy with this layout, but can't decide on the bottom row. I have to use the little girl...she is the cutest thing! I'm just not sure how to do it. I had an extra J and K, my initials, so I thought about using them in the last row. I put a hat on the J, so it fit with the K better. 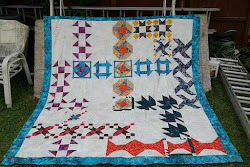 I have it all sewn together except the last row. Any ideas? ***If you want to make your own letters, go to Patchery Menagerie! Any ideas?! Jean - this looks so adorable! You have put it together perfectly. I love the added house, cat, girl, JK, asterisks, and star. This is really so adorable. Really - adorable!! They look lovely.Your set is beautiful. Super cute alphabet...love the girl too. It will look great no matter what you decide. Maybe you could put the girl at the top, in the center, and your initials alone in the bottom row. LOVE IT! Your letters are really cute, love the different sizes! What if you put the girl in the top row on the left? Jean, all ways look good to me. You always do such great projects. I think either was is lovely, but i do lean towards the last one as it's more symmetrical. Jean that is sooo cute! I like the way the last picture is for the setting. 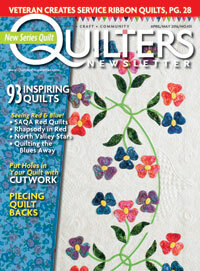 Adding that last row is such a neat way to personalize the quilt.